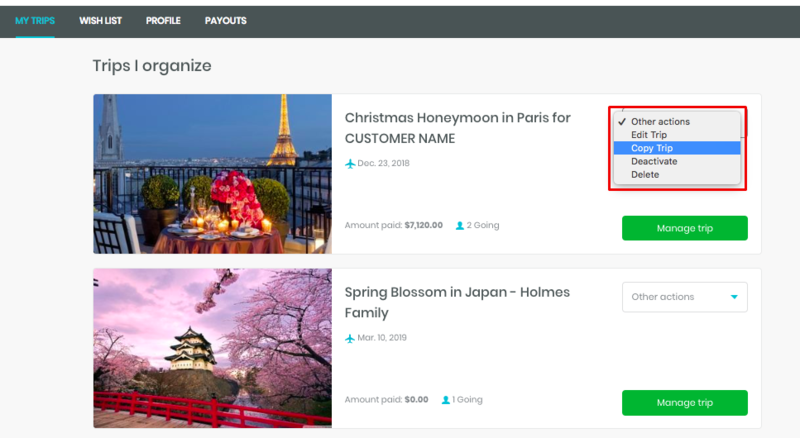 This will create an identical copy of the template trip - text, photos, even the participant questionnaire that you set up in the Participant Info section will also be automatically copied and added to your new trip. 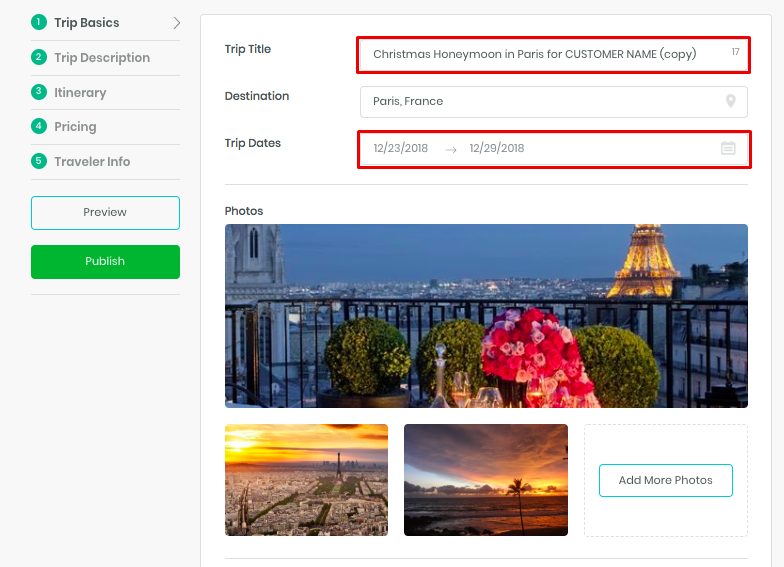 You can always modify your trip description, photos, and other details even in more depth. 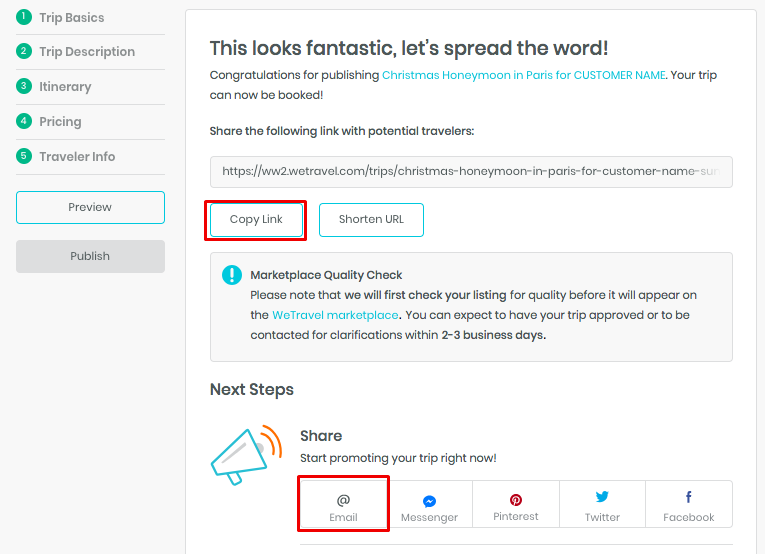 Copy the link and send it to your customer or click on “Share via email” and send it directly from WeTravel. 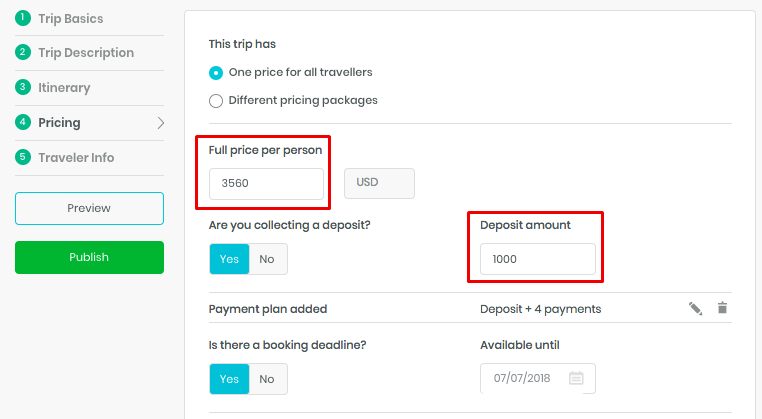 Emails sent from WeTravel will appear as if they are sent from your personal email.